In the late eighties, Public Enemy hit rap like a ton of bricks, making a social and sonic statement as powerful as the other era-defining heavyweight, Iron Mike Tyson. 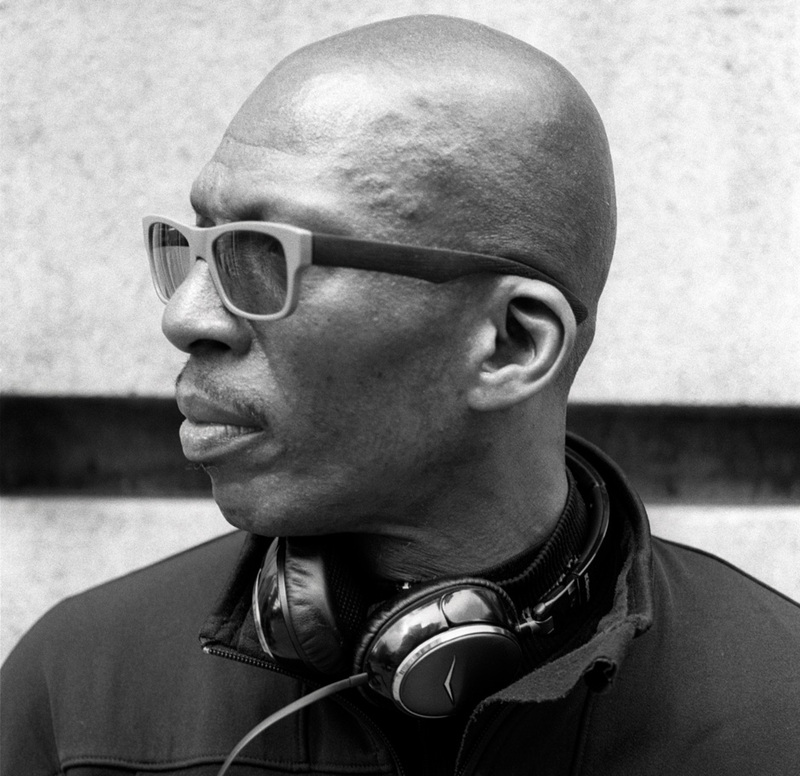 PE’s Harlem-born co-founder Hank Shocklee was the chief mastermind behind the layered production and collage-like sampling that would frame the group’s signature black power missive. The combination raised the bar for both rap’s musicality and its potential as a vehicle of protest. Today, Shocklee’s production work—e.g. with Ninja Tune’s Emika—attests to a continued path of exploration, albeit one less militant. Here’s what’s in his vocabulary. I created the source music for this period piece film that allowed director Ridley Scott to blend it seamlessly into the original score. It was all about creating a more densely filled listening environment to draw the viewer into. The production team I created to help me get my sonic vision across and to be the bridge between Chuck D’s lyrics and an audience that wanted a whole new experience from rap music. or the channel to be heard. This film gave me the chance to change Spike Lee’s idea of having PE make a hip-hop version of “Lift Every Voice And Sing” produced by Terence Blanchard. The 2013 version of Public Enemy and the BOMB SQUAD from a female’s perspective. Also the most talented female producer in the world. Needed to put him in the group to prove to the world that a great, powerful and innocent spirit can trump all creativity and talent in our universe. We are put here in this dimension to correct the phase alignment when our universe gets out of sync. This is why we have a duty to vibrate at a higher frequency and help those who cannot reach our level of understanding. Love is the message. The place where I spent most of my weekends in the early seventies growing up and learning a lot of lessons from my older cousins. How to be a warrior for the truth and respect the code of the streets: respect the elders, protect the women, watch over the youths. 212 West 141 Street. I fought long and hard with Def Jam over that title, as opposed to “Rebel Without a Pause”. “It Takes a Nation of Millions . . .” was actually a lyric from “My Uzi Weighs a Ton”. I thought at that time we needed to make a statement that would signify the rising of a nation’s consciousness, the underclass movement. Also, the sequel to the critically acclaimed first album Yo! Bum Rush the Show needed to show all those that didn’t believe in our mission that it was going to take more than non-belief to stop us. America’s first real modern music form. To me jazz represents the state of all things, all energy and all forms. It’s that shapeless being that produces a feeling of excitement inside of us. It pushes us through our mundane life cycle with pizazz and flava. It’s the embryo of creativity. The spark of our very existence. The hardest working producer on the planet. He has worked his way from a ghostwriter to renowned superstar celebrity and entertainer. However, his greatest work is yet to come. Once he gets finished having fun he will get back to his original form in changing the planet for the better. Jesus Walks. A concept brought to my attention through my friend and production partner at the time, Eric Sadler. It was a mistake that happened when I was always taking samples and playing them together with other samples and there would be a clash of beats. Those clashes would produce a unique sound of their own. Eric took a snare and tried to emulate that process and all the sudden it worked. So it became part of our workflow to create new sounds for kicks and snares. Circa 1985. Mosque 7B, Corona, Queens. 1974. I went to the temple with my friend Michael Griffin. Yes, Professor Griff’s older brother. We were blessed to receive a radio broadcast of a speech by the minister at the temple. That speech changed my entire frequency. It made me realize my life was not going in the right direction. I needed a change and a vehicle to express those ideas that I knew needed to be broadcasted. The only question was HOW? true distortion and bite needed to make me shiver with excitement. Our first Black president. Yes, there are always going to be flaws in being the first, but my faith is strong enough to know that he will turn things around once it settles in that he is the leader of our future. We are at the tipping point. We can choose people or material. This would take a book to answer. All I can say is great ideas come with great solutions, not statements. Queer hip hop? Really? What about good hip hop or bad hip hop? He gave me the opportunity and the creative freedom to express my musical ideas and theories without compromise. I don’t listen to music! I feel it. I don’t hear keys! I see frequencies. How appropriate of a genre to be named trap. I just want to be free. I know very little about anything and a lot about everything. Perception is reality. No, perception is perception. Reality is reality. Even a fool can tell the difference. All depends on your perspective and geographical location. What is West when you live in the West. The world is hip hop and hip hop is the world. The greatest teacher we had about growing up black in America. All praise due. I asked Spike when was he doing a part two. He looked puzzled and shook his head. I rephrased the question by saying the first one was mainly on Malcolm Little. I would like to see him do Malcolm X. He didn’t get me. Peace to Ted Demme, Doctor Dré and Ed Lover. Read more from the The Aphabet According To… series here.